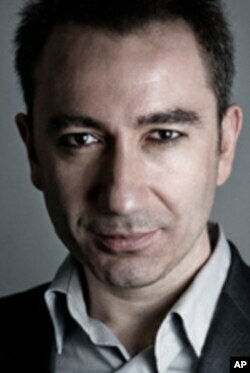 “Enforced piety” or the act of coercing public respect for strict religious practice has come to be associated with Islam says Turkish journalist and author Mustafa Akyol. 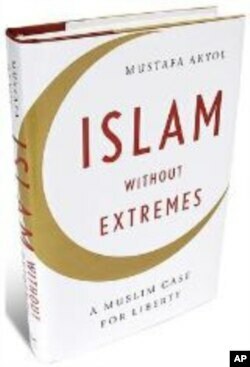 But in his new book, “Islam Without Extremes: A Muslim Case for Liberty,” Akyol challenges and refutes this association. Appearing recently on VOA’s Press Conference USA, Mustafa Akyol asserts that “piety police,” common in Saudi Arabia and Iran, are in fact, a product of authoritarian regimes that use Islam to consolidate power and rule through fear. Akyol also explains that laws against blasphemy and apostasy, which are also often associated with Islam, appear neither in the Koran nor in other Islamic texts. Instead, Aykol argues that such notions actually evolved within particular geographical, cultural and historical contexts where Islamic regimes found it convenient to attribute such ideas to Islam. Akyol is equally critical of authoritarian secular states such as Turkey in the 1980’s, which often denounced or even outlawed manifestations of piety, such as the use of the headscarf, in the name of secularism. Akyol argues that coercion in Islam or in any faith for that matter, backfires, and that “one needs a free society to be a genuine Muslim.” He says “it is only through freedom of choice and true conviction that one can become a genuine believer.” Despite the emergence of the puritanical Wahhabi sect prevalent in Saudi Arabia, which not only promotes a literalist reading of the Koran, but also conflates tribal customs with Islam, Akyol describes many other schools of Muslim thought which demonstrate that Islam is indeed compatible with free choice and reason. He contrasts the “Bedouin culture of the desert” with the more cosmopolitan historical contexts in which Islam has flourished and become a beacon of tolerance such as Muslim Spain (711 – 1492), the Ottoman Empire, and today’s modern Turkish state. Akyol asserts that in societies in which trade and commerce are dominant features of the economy Islam is also interpreted in a more open, flexible manner. It is worth noting that the Prophet Mohammed was a successful merchant. Mustafa Akyol expresses concern that those in the West, who observe authoritarian elements within Muslim majority countries, might erroneously conclude that such practices are directly linked to Islam. Akyol not only refutes that argument but also underscores that even if it were partially true, many religions, not just Islam, have fallen victim to violent and rigid interpretations of the faith. Christianity during the time of the Crusades and the Inquisition is a vivid example. But just as Christianity and its followers have reinterpreted the Bible to reconcile their beliefs with liberty and tolerance, Mustafa Aykol insists the “the same change is possible in Islam.” Moreover, Aykol argues that both Islamic and secular governments in the Middle East are equally guilty of attacks on civil liberties. He speaks of two extremes in the Middle East: secular dictators like Hosni Mubarak, the former Egyptian President, and radical Islamist groups which oppose them. “And this vicious cycle between both extremes destroyed any room for a pluralistic, democratic system,” says Mustafa Akyol. For this reason, Akyol is cautiously optimistic that the democratic uprisings throughout the Arab world, as messy as they will be for some time to come, may foster greater democracy, pluralism and economic freedom, all of which can only bode well for the future of Islam.